local communities around the world through the spread and growth of cricket. on projects in Africa – could our next volunteer be you? across sub-Saharan Africa - tacking HIV, FGM and more. These goals are achieved through project delivery by our volunteers and year-round delivery in-country by our ambassadors. Can you volunteer with us, support funding our work, or spread the word about what we do? Anything you can do makes a big difference. Our coaching ambassadors work year round to deliver cricket alongside health and social messages. 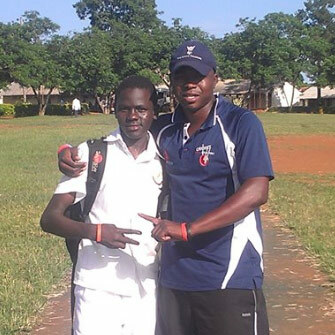 Read all about their work and how they came to be involved with Cricket Without Boundaries. 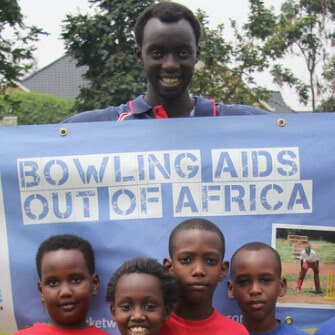 Emmanuel is a fast bowler, who first represented Uganda as an 18-year-old in 2005 he has been working as a CWB Ambassador since 2014. 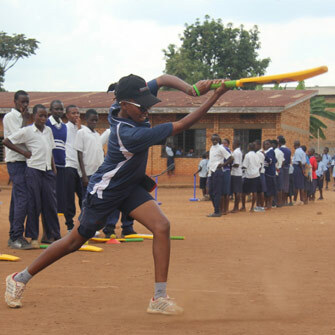 Mary is the captain of the Rwandan women’s cricket team. She balances this with her role as a CWB Ambassador and her university studies. 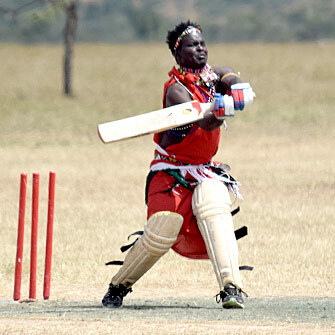 A proud member of the Maasai Cricket Warriors. Benjamen is our newest ambassador working to end FGM in the Laikipia region of Kenya. Eric may look fearsome standing at the end of his run up but as a coach he is a gentle giant and has been inspiring the youth of Rwanda since 2010. "Volunteering in Rwanda was easily the best thing I have done in my life so far! It was a brilliant experience that has left me with many memories I will hold for the rest of my life."